It’s back-to-school time in San Bernardino County, which means more at-risk teenage drivers on the road driving back and forth between school and sporting events. While expressing grave concern over the amount of teenage drivers involved in automobile accidents in the state, expert Southern California personal injury law firm, Harshbarger Law, would like to particularly remind parents to educate their young drivers on what teens should do, should they be involved in an automobile accident. While any automobile accidents involving youth are particularly unfortunate, there is no doubt that this 16 to 19-year-old age group is more prone to becoming involved in one. According to the California Department of Motor Vehicles, this age group has the distinction of having the highest average annual crash rate and traffic violations of all age groups. 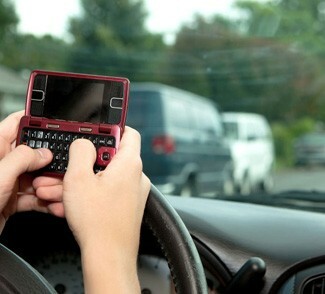 In fact, traffic accidents are the leading cause of death for teenagers in the United States. In 2008 alone, there were 593 fatalities in crashes involving teenage drivers in California. 217 of those fatalities were young drivers and 161 fatalities were of their passengers. Occupants of other vehicles made up the remaining148 fatalities. With the increased likelihood of teenagers becoming involved in a crash and becoming personally injured, parents need to teach more than just road safety – although that is of utmost importance. It is crucial that teenagers understand their rights in an automobile accident situation, especially if they are injured. • Call the police, even for minor automobile accidents. • Immediately notify your parents and your automobile insurance agent. • Take notes about the accident, such as specific damage to all vehicles involved and witness information. • Never sign any document, unless it is from your own insurance agent or the police, without having your personal injury attorney look it over. You could be signing important rights away. • Giving only the facts, speak only to the police and your insurance agent, until your parents and attorney speak with you. Emotions can be high in an accident situation. • Never admit the accident was your fault – even if you are sure it is. The facts might show you actually were not the cause of the accident. • Seek medical treatment, even if you don’t think you are injured. Physical and mental ramifications of an accident may show up later or be internal, and are best assessed by a medical professional. Many teenagers and their parents may be leery of the monetary investment of hiring a personal injury attorney regarding any auto accident they may have fallen victim to, but they shouldn’t be, especially in cases where a wrongful death suit is warranted. Victims, and, where appropriate, their loved ones, absolutely have the right to try to collect damages against negligent drivers. Harshbarger Law handles all personal injury cases on a contingency basis. Meaning that no fee is charged to their clients, unless compensation is awarded for their personal injuries. Initial consultations are also free. It is always in the best interest of victims to hire a personal injury attorney from a firm like Harshbarger law, who has a wealth of experience dealing with insurance companies in the form of negotiations and litigation. Harshbarger Law is a Southern California personal injury law firm, specializing in all types of injury-related accidents, with a focus on their clients’ needs. These accidents include automobile and motorcycle accidents, bicycle accidents, premise liability, construction site accidents and defective products.